Hooray for Hollywood! I spent quite a few years living in California, once upon a time I worked in Hollywood so this design is near and dear to my heart. This is a great party option for sweet sixteen, teen parties, bachelorette party or a special event. Since all of the party designs that are created by Metro-Events are custom, you have the option to change any of the text/wording that you want. 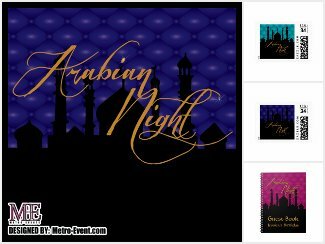 On Metro-Events website and Metro-Events on Zazzle there are many items to choose from. 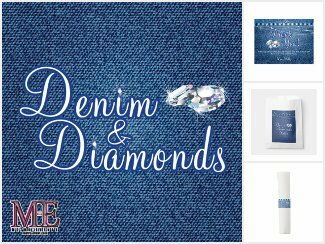 Invitations, custom treats, party favors, thank you cards, custom party cups, custom paper plates, party banners and much more including gifts! This Hollywood party set is available in both pink and red. Printable Party Files: Instructions and Hints Entry Number One! 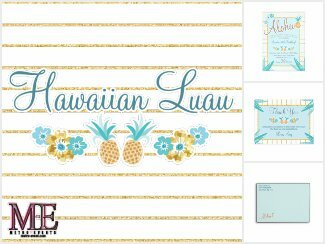 Some may be reluctant to get printable party files for a birthday or baby shower because they don’t know what to do to put this stuff together or they think it’s going to be a lot more work then they want to put forth. I admit the first time that I put a printable party kit together it was a lot of work… The outcome wasn’t as awesome as I had hoped either. My first party kit, fairy party… it wasn’t awful but learned better ways of getting the job done. I have learned, after creating over a dozen of these better ways of doing this. Printable parties are awesome because they allow customizations, they are unique and they are not factory produced. This is one of the reasons I started designing them. This fairy party kit is now discontinued from my shop, I have since become a better graphic designer and I feel this isn’t my best work though I really loved it at the time. Printable parties don’t have to be extremely time consuming to put together and they don’t have to cost a fortune. You don’t need a professional party person. 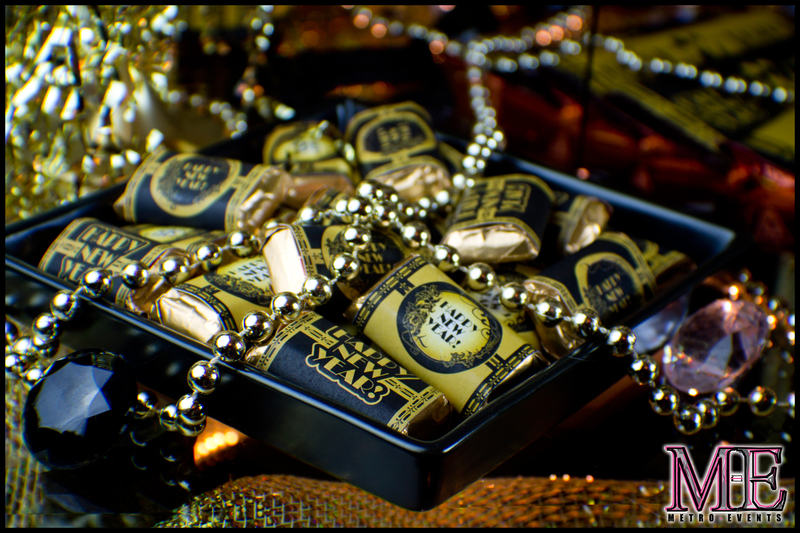 If you are on a budget you can still throw a fabulous party! Here are some hint’s to help out. 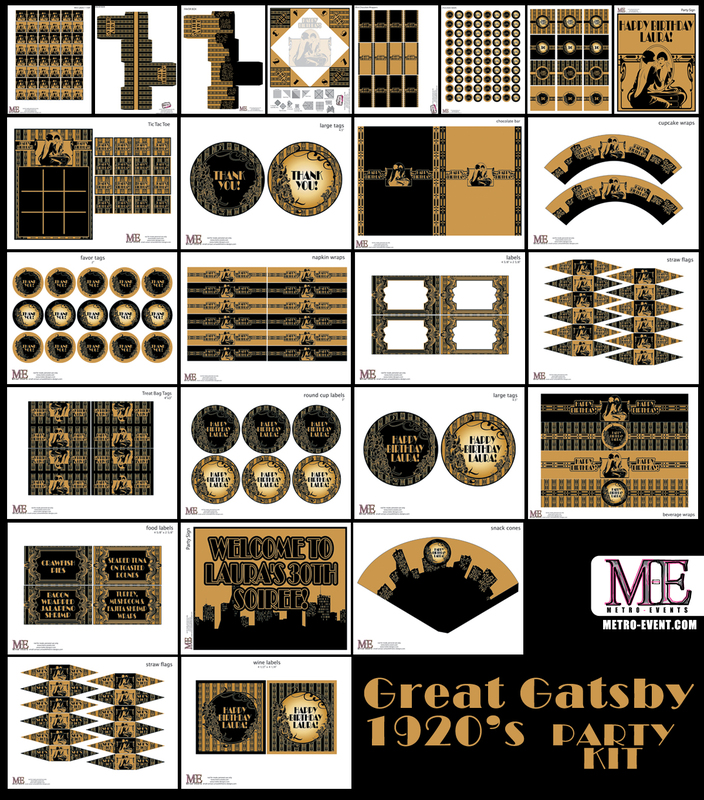 Choose the number of items that you want out of the 29 party printables that are available. Purchase the number kit that corresponds with the items that you would like, for example: If you wanted an invitation, cupcake toppers, thank you card & favor tags this would be a 4 item kit. 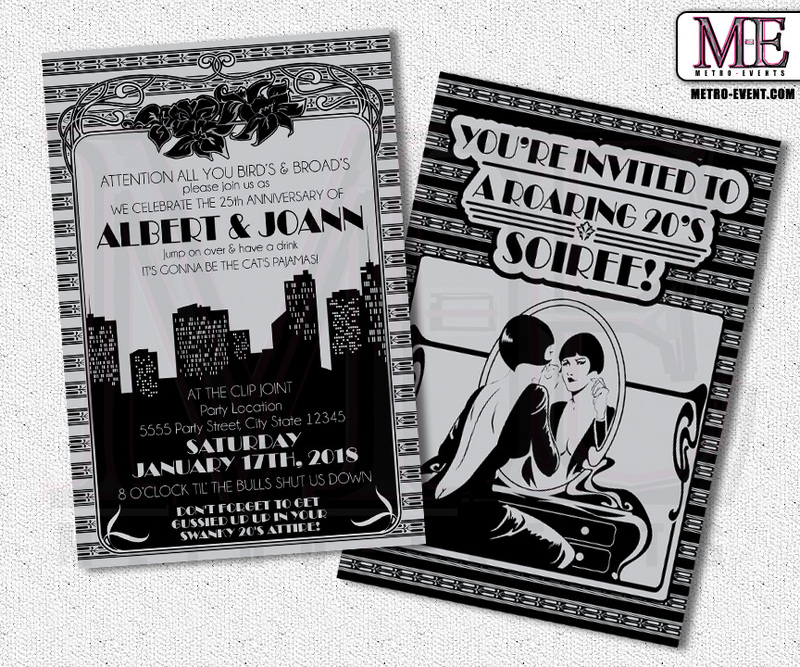 Once you purchase the kit send an email to purchases@metro-designs.com stating the items that you want in your party kit along with the information that you want on the custom designs. THAT’S IT! WAIT FOR THE EMAIL FROM METRO-EVENTS THAT WILL CONTAIN YOUR CUSTOM PARTY FILES. Get the tools that you need for creating the party. Tools are EVERYTHING! If you try to cut everything with scissors it will make your hand hurt and take forever. The following are the recommended tools that help create these wonderful parties! 2″ hole punch from Hobby Lobby. 3″ hole punch from Hobby Lobby. For large circles use a large circle cutter, I have found that the Martha Stewart circle cutter works best. This circle cutter does take a little bit of getting use to so I recommend drawing some different sized circles on pieces of paper to practice using the tool. If you try using it on your prints you may ruin your prints and have to spend more money re-printing the party designs, once you have learned how to use the tool it’s easy. Martha Stewart Large Circle Cutter. Large Circle Cutter from Hobby Lobby. For straight cut party designs you can use scissors however if you have a paper cutter that is less stress on your hands. I am not a huge fan of paper cutters myself because I can’t seem to get the designs cut close to the edge. I prefer to use a ruler, x-acto knife and cutting board. I learned how to use these when I was in college learning graphic design and yes I have tried to cut my finger off a couple of times so you have to pay attention to what you are doing! This is the best for me personally however I am a picky graphic artist that needs my prints to be perfect. So if you are a perfectionist like me learn how to use a ruler and x-acto knife! 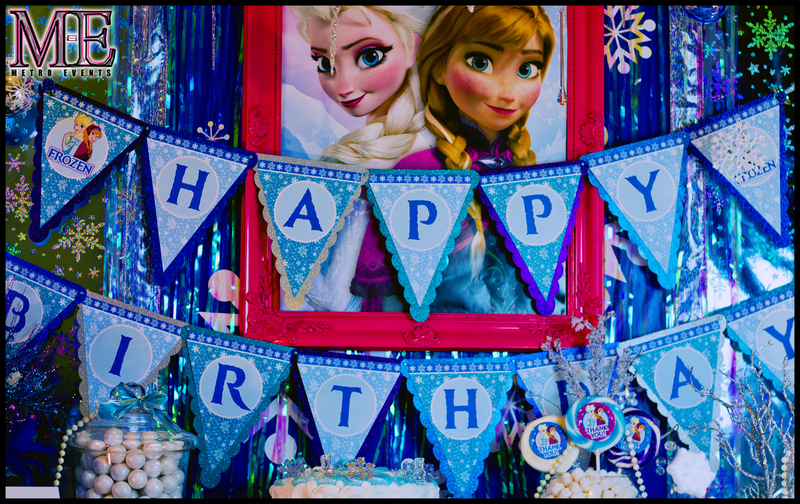 If you get a party banner there are number of ways to put these together… I have tried them all! You will need a regular hole punch to punch holes at the end of the pendants or a x-acto blade to slice slits. Here are options to adhesive them together. You can make the banner a little bit stronger and add extra design to it by cutting pieces of scrapbook paper a little large then the pendant triangles and paste the 2 pieces together. If you have a Cricut cutter they do carry a pendant cartridge, this is the easiest way to cut background paper. For gluing the 2 pieces of paper together spray adhesive will work however the stick does wear off of them and the printing paper may fall off of the scrapbook paper so the pioneer glue is a better option to avoid this issue. Ribbon or string, this option cost a bit more because the prices of ribbon is a bit more. There are a couple of ways to use ribbon. You can tie each pendant together with a piece of ribbon and make a bow or you can string the ribbon through all of the banner pendants then tie the ends. The photo below shows the banner linked together with ribbon, I actually sliced the ends of the banner paper to create slits on this one so that the ribbon would lay flat. Chocolate Factory Birthday Banner – Ribbon is strung through the pendants to link them together. I used a Cricut cutter to cut foil gold pendants to glue the printed banner. 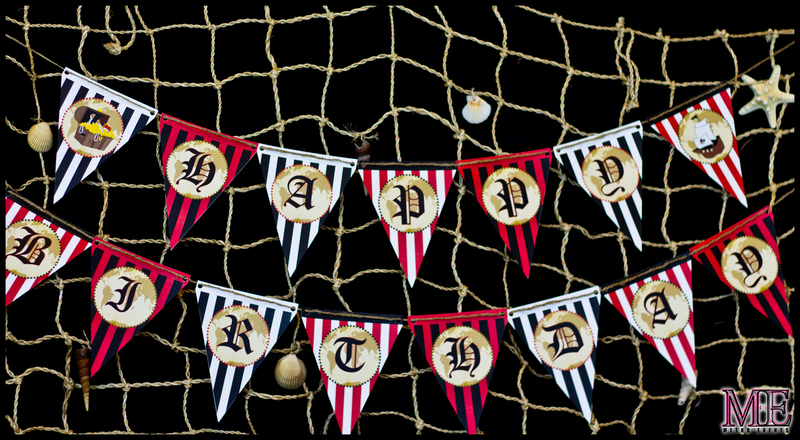 Pirate Party Birthday Banner – String is strung through the pendants to link them together. ii. Another option for attaching party banners is to use brads. It’s funny a lot of people don’t think they have heard of brads until I show a photo of what they look like. Brads are the less expensive way to link the pendants together. There is also more control when using brads because they twist with the paper easily once they pendants are linked together. Brads for linking party banner pendants together. If you get a large pack you can use them for multiple parties and the price is less in the long run. I used glitter paper for the background then linked the banner pendants together using brads. Glue, I prefer this glue called pioneer glue. This stuff is pretty amazing, it’s inexpensive and it sticks to nearly everything, it’s also not messy because it’s a stick. Hot glue or whatever glue you prefer is fine to use as well. If you are going to use the cupcake toppers make sure to get some sticks for it. You can get the candy sticks but I prefer Woodsies. Woodsies are awesome for the toppers, it’s flat so they stay on a better. Candy sticks are round which makes it a little more difficult to stick to flat paper. Woodsies are also super inexpensive! 750 for $4, you only have to purchase them one time and you will have enough for quite a few parties. 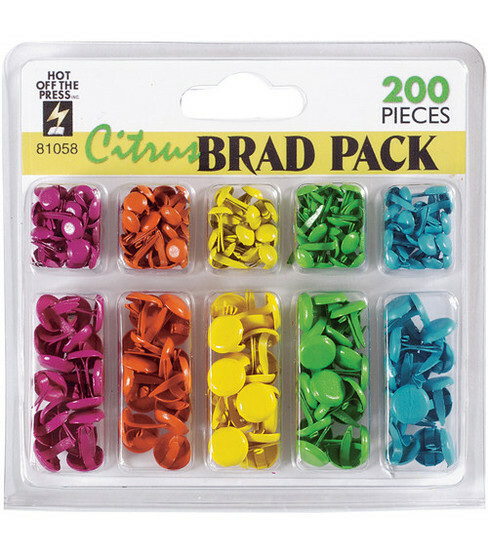 You can also paint them to match your party, if you want to get really creative add rhinestones to them! Woodsies Craft Sticks at Hobby Lobby. Look around your house for items to use, you don’t have to buy EVERYTHING! Spray paint old bottles and jars. This is a great inexpensive way to add matching party decorations to your printable party items and it’s also a good way to reuse old things for something cool! This is from my Gatsby party Collection. I spray painted the cup that has cheese dip. I also spray painted the stand that the dip is on. The scale in the background was spray painted, it was an old rusty scale that I picked up at the flee market years ago for $10. 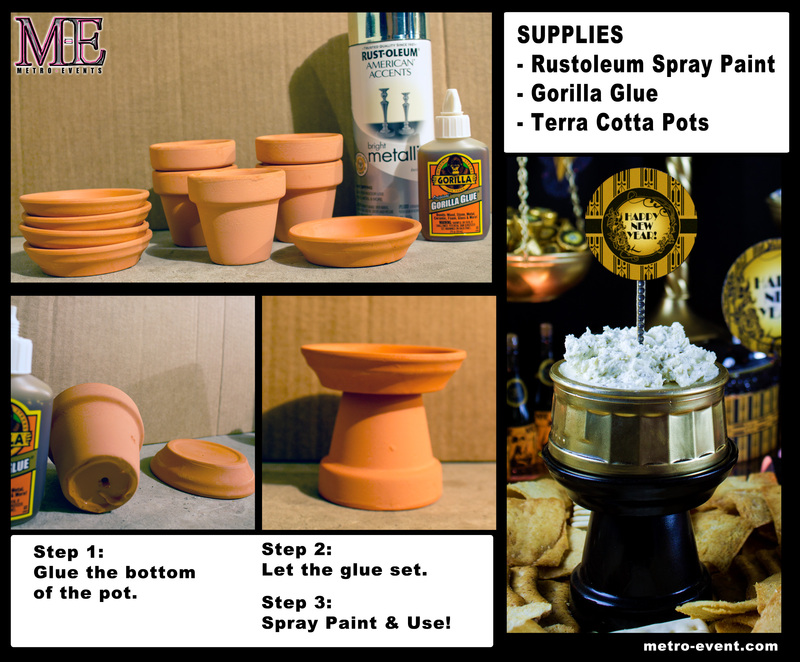 If you get Rustoleum spray paint it will work for just about anything you can spray paint glass items. 4. Make some things for CHEAP! There are a number of things that are really inexpensive that you can make. the stand that is shown in the image above is something that I made. The total cost was under $10 and you get six of the stands because the terra cotta pots that I use come in packages of 6 for under $4 at Hobby Lobby. 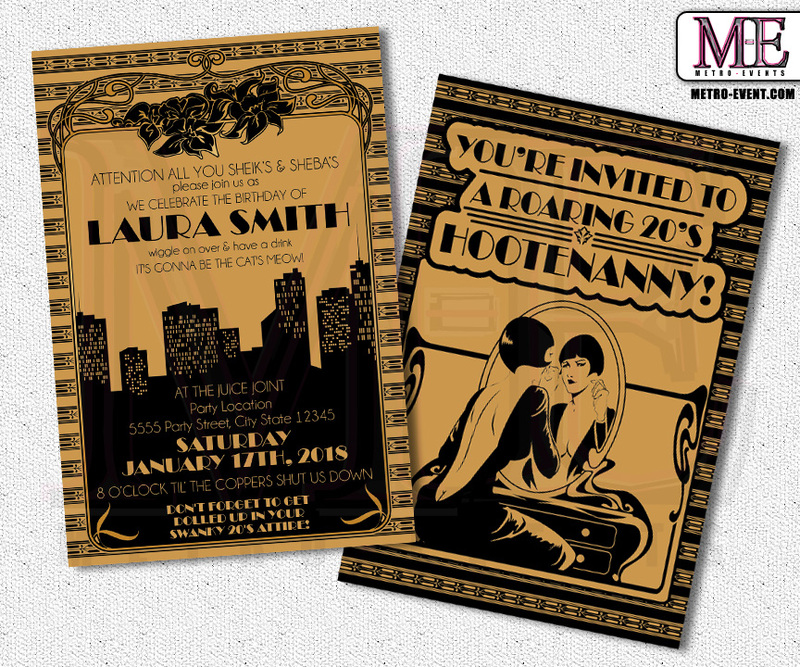 Now that I have created a few different parties using the printables created by Metro-Events. I have created some better parties. 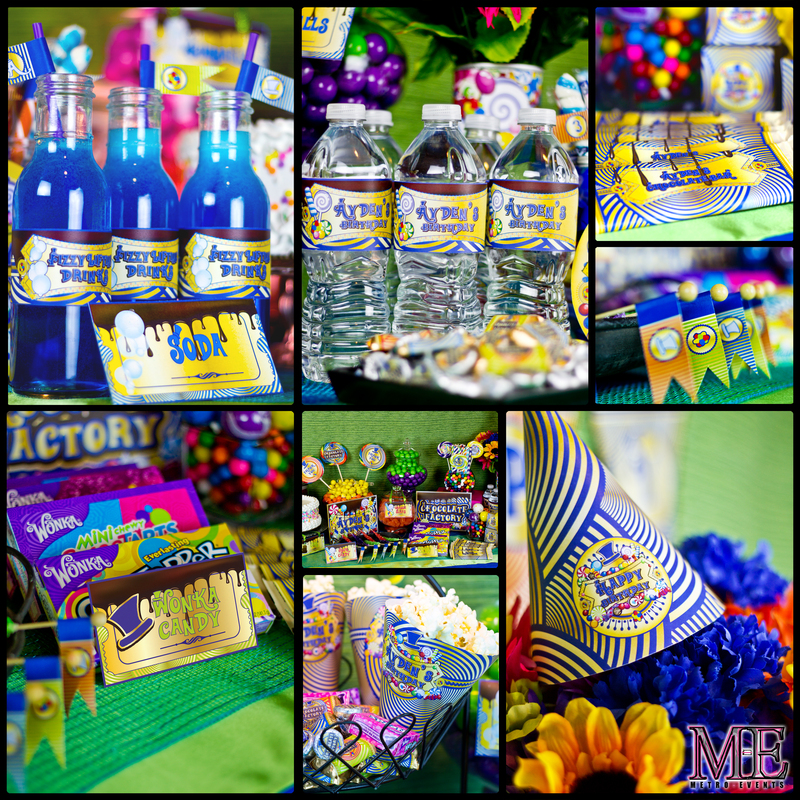 Winter Carnival Party Kit By Metro-Events Party Supplies and Decorations.